It is Thursday, right? I had a hard enough time keeping track of what day it was when the kids were in school. Now, I really have a hard time keeping track! Usually on Thursdays we do a Thankful Thursday post and show any Thrifty finds that we've found. We haven't done any thrifty shopping in the past couple weeks though. I think for this post I'll ask the kids what they're thankful for too. Whaddaya think? Sounds like a good idea, right? Speaking of which. . . . . . am I the only 44 year old mom who likes to ride water slides on innertubes? 'Cause I felt like I was the only adult! I told my friends on facebook that I was one of the only adults in a sea of tweens. The best time we had was when it was pouring down rain in the morning because we were the only ones going up the stairs to the rides. The lifeguard said, "Oh, the brave ones!" The Builder also said that he's thankful for the water park. Here's what they looked like on the way home from the waterpark. Later last night, we made Rootbeer floats. As cranky as that little girl (Future Fashionista) is this morning, I'm thinking maybe we need to cancel Summer. Haha. Just kidding, but I think they are wearing themselves out. My hubby who works so hard for us. Now, news from Future Fashionista. She would like to tell you what she liked best about the Waterpark yesterday. that could hold four people in it. there was another slide that was super duper steep. different colors like blue and pink. it was really fun. we could have nothing better to do yesterday. we did the lazy river about 4 times yay! The slide below is the slide that FF is referring to. It's a 4 person slide on a raft. 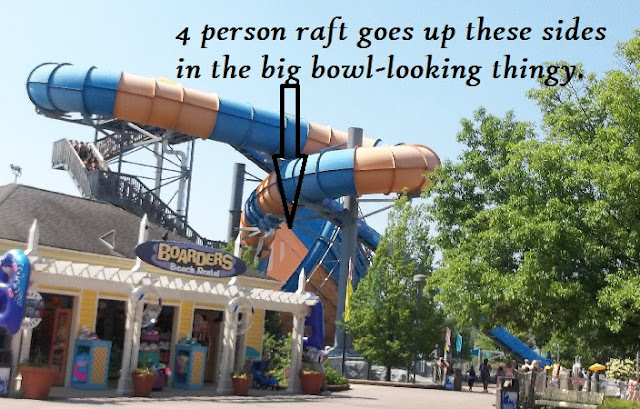 There is a steep hill that the raft goes down and then the raft goes waaaaaay up the sides of the big circle and then down the middle and way up the other side. Engineers are amazing people, because I don't know how that thing doesn't flip! It was fun, though. I'll try to get a better picture of the ride next time we go! That slide terrifies me, but the root beer float sounds SO good right now! LOL! That slide was so much fun, though! 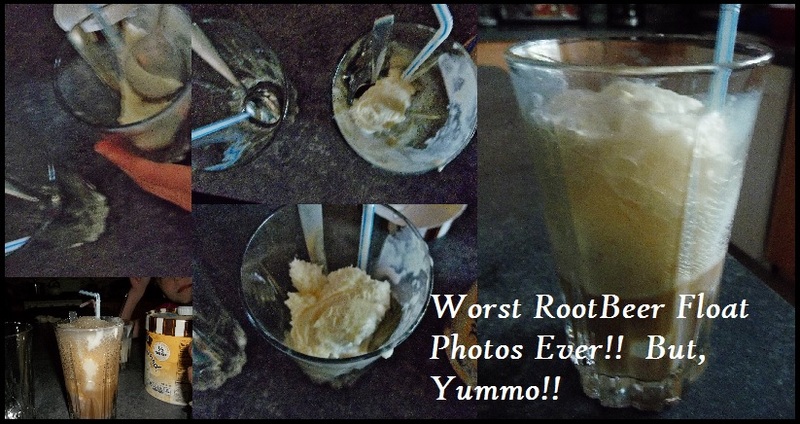 The root beer floats were SO yummy. Hope you got a chance to have a root beer float for yourself. Thanks for stopping by!